Trastevere Rome might be the most Italian part of the eternal city and probably the most lively, vibrant and also whimsical at the same time. This neighborhood is more residential considering the other side of the River Tiber. Also, that’s where the name of the neighborhood comes from – it means beyond the River Tiber. Most of the time, it is said that Trastevere is the heart and the young soul of Rome. 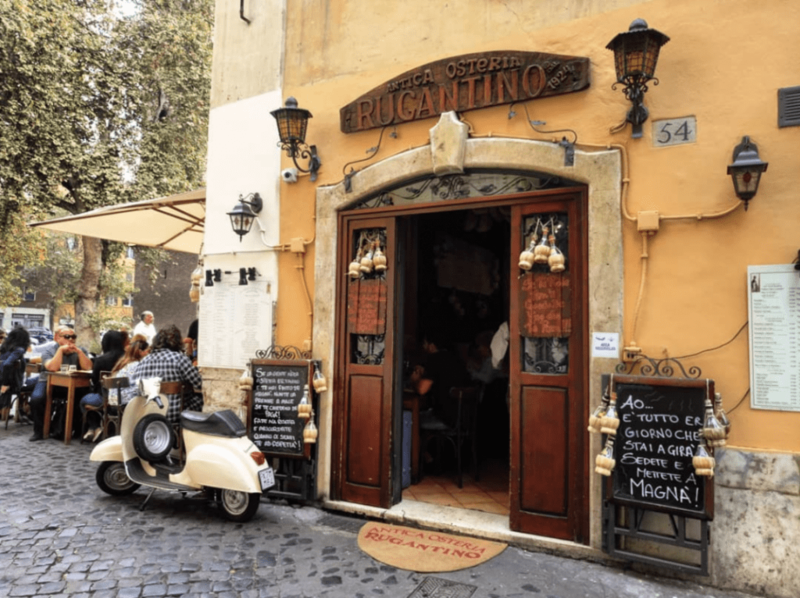 Read on to know about the top things to do in Trastevere! 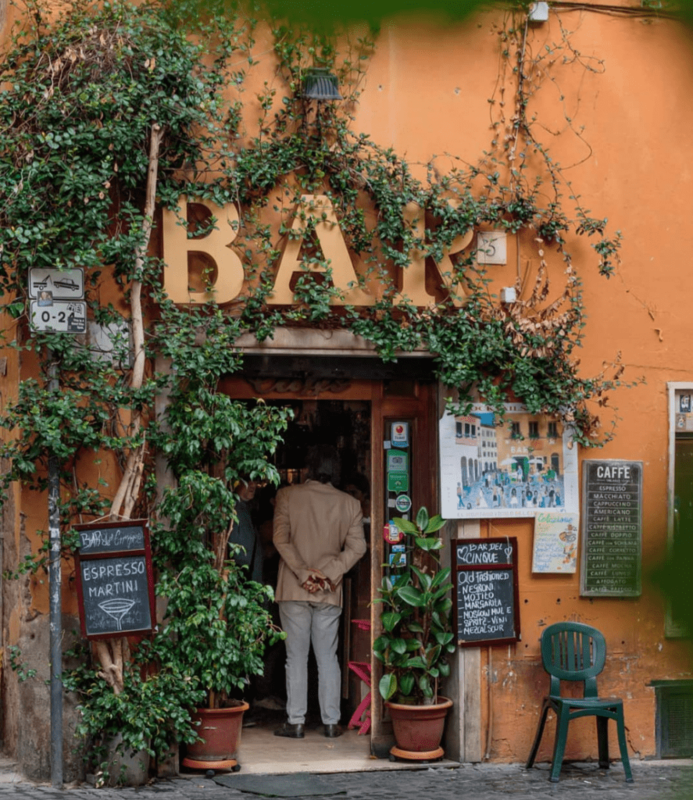 The cobbled streets, artists painting outdoors, the smell of Roman food, local people having aperitivo; all of these are so delightful things to see and live here at Trastevere. Rome is a very attractive city for travelers for sure, so you will come across with many of them at the city center. However, here you will able to see more Italian people, locals indeed, and also be able to experience at least a glimpse of their daily lives. Walk around, taste some local food, drink some wine, chat with bartenders and live the real Roman life here. Enjoy the the most pleasant area of the city! 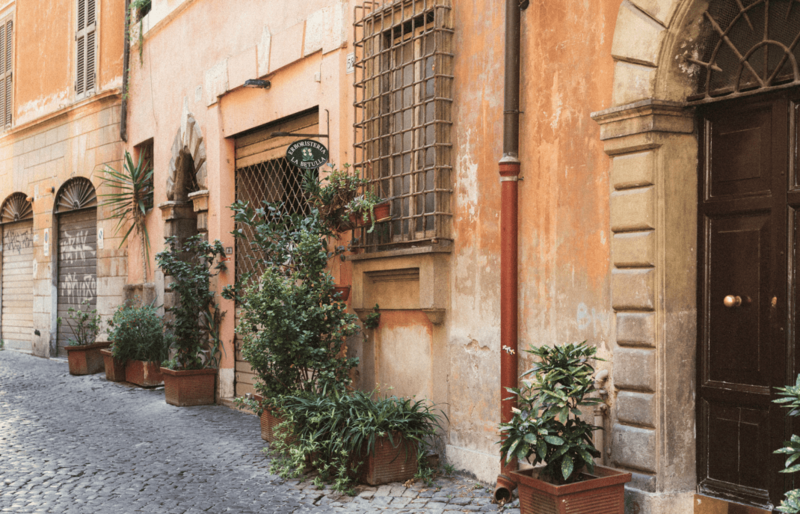 This beautiful neighborhood of Rome can be visited anytime during the year. Each season has its own unique beauty here. Summer and Christmas seasons are more likely to be the most crowded times of the year. The best time is after August in early fall. It depends how much you want to spend in other neighborhoods and preference of attractions. Here you can experience daily Roman life, visit local restaurants, do tastings and see famous and oldest basilicas. We recommend at least half-day to see the neighborhood. To see the main attractions, half-day is enough but if you are planning some eating and drinking plans, at least one day is recommended. The streets are mostly covered with cobble stones in Trastevere. Make sure to put on comfortable shoes in case you will be walking for a while. High heels are not recommended. Any style would go well here. However, you have to check the churches’ dressing codes around the area. 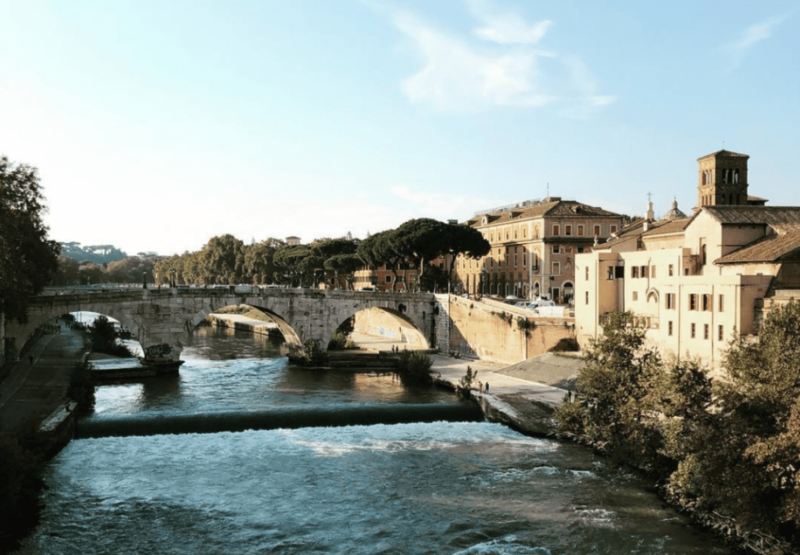 Tiber Island – or Isola Tiberina as known in Italian is a small island right in the middle of the River Tiber. While you are passing from the bridges to reach Trastevere from the central Rome, you might stop by here. The island doesn’t have much space but it is quite whimsical both during the day and at night. There are only two buildingds in the island if you are interested: A small yet very gorgeous church and also a hospital. Have a quick and small picnic at the green part, enjoy the view from the island. If you take a look from the outside, Basilica di Santa Maria might not seem very exciting or beautiful. However, inside of the church is a whole another place. Especially the ceilings, side-wall paintings, the Roman columns may take long minutes to explore as the details are beyond mesmerizing. Here, you will have a chance to see Cavallini’s mosaics as well. 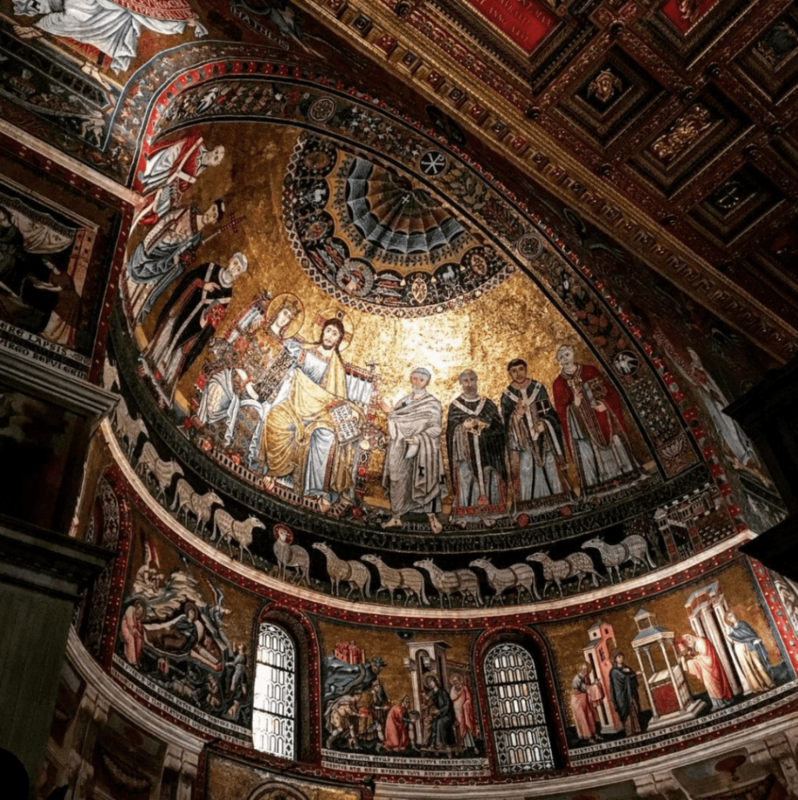 Most probably, Basilica di Santa Maria is the first Christian church in Rome devoted to Mary and also known as one of the oldest churches found in Rome. Another famous church in Trastevere neighborhood is Santa Cecilia’s Church. Along with Santa Maria, this church is also very old and it is almost 1600 years old. 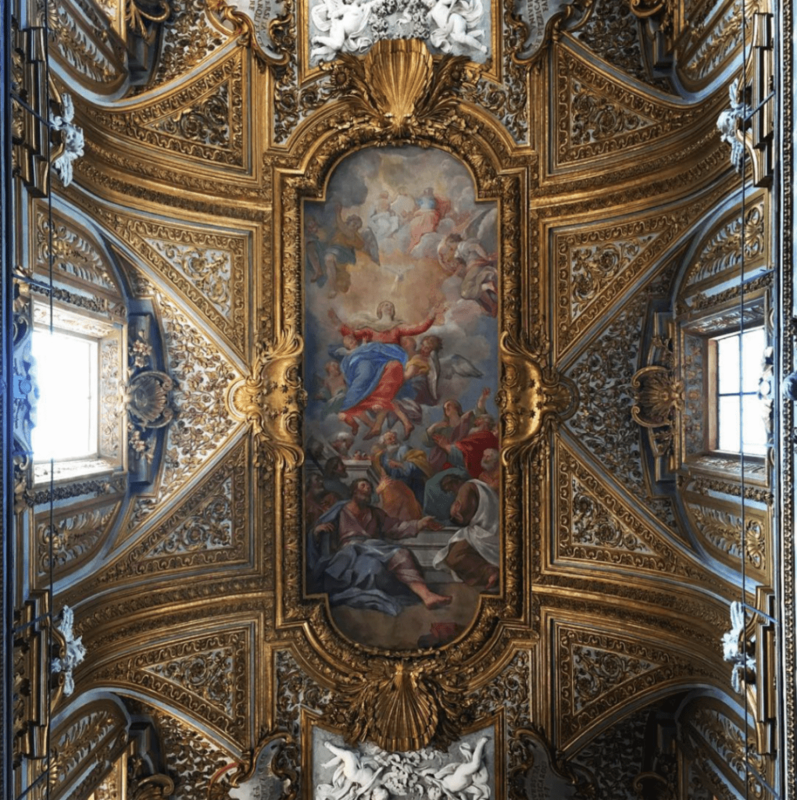 It is thought that the church was built around the 5th century and dedicated to Cecilia, a woman who died as a martyr during Emperor Marcus Aurelius times. The best known part of the church is the sculpture of Santa Cecilia made by Stefano Maderno. The sculpture itself represents the martyred body of Cecilia and famous as a Baroque style sculpture from early 17th century.